Late last month, after conducting an in-depth investigation into the payment practices of more than 40 Department of Corrections facilities in Georgia, the U.S. Department of Labor’s Wage and Hour Division ordered the Department to pay nearly $429,005 in back wages to 1,257 employees. According to the DOL, the Georgia Department of Corrections had routinely violated the Fair Labor Standards Act (FLSA) by failing to pay employees one and one-half times their regular wage for every hour worked in excess of 40 hours per week. After investigating the employment practices of the Georgia Department of Corrections, the DOL revealed that the Department had violated the FLSA in a number of ways. For instance, it was discovered that the Department routinely failed to pay employees who attended training and meetings for the time spent participating in those activities. Furthermore, the Department regularly failed to compensate employees who worked not only their own assigned shifts, but also the shifts of others who were late for work. 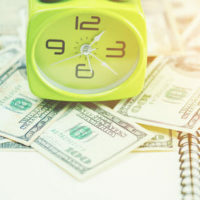 The DOL’s report revealed that in both cases, the unpaid hours resulted in overtime violations where employees were forced to work more than 40 hours per week without additional compensation. Even when the Department did pay for overtime work, they did so based on the regular wage and not at the rate of time-and-a-half required by law. These were not the only overtime violations committed by Georgia’s Department of Corrections, which failed to pay employees for hours worked in excess of 12 hours per pay period and that the Department only paid out any compensatory time on a biannual basis, namely in May and December. These practices led to additional overtime violations when officers or other corrections employees left their job before these dates and the state failed to pay compensatory time accumulated since the previous payout. Many of these oversights were possible because the Department of corrections failed to keep proper employee records. After awarding nearly $429,005 in back wages to 1,257 Georgia Department of Corrections employees, the DOL spoke with wardens and supervisors across the state, explaining the federal rules regarding wage and hour requirements. The Department was also ordered to begin keeping accurate records and to ensure that employees are paid not only for trainings and safety meetings, but also for waiting and travel time, all of which are considered to be work hours.